As somebody who has never been hiking in Europe, this book was a great read. I had no idea such a large trail even existed, and the amazing aspects the path has to offer along the way is even more surprising! Caroll Dorgan’s book, Trekking The GR5 Trail: Through the French Alps: From Lake Geneva to Nice , is the ultimate cookbook for travelers hiking the GR5 trails. Claimed as one the world’s greatest trails, the 2300km adventure stretches from the North Sea to the Mediterranean. 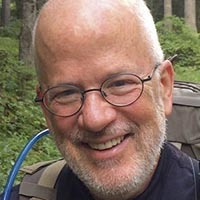 For many years Dorgan focused his time hiking in the northern section of the trail which spans from the coast of Hoek van Holland to Schirmeck in the north of the Vosges mountain range. 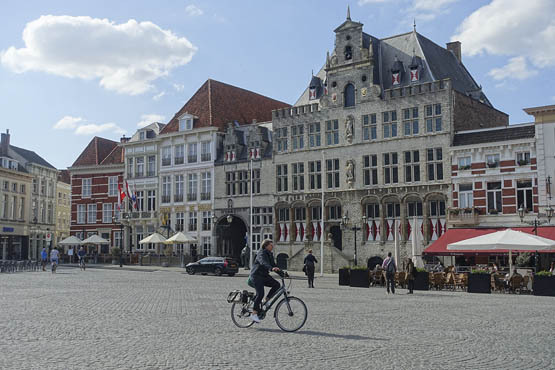 This guidebook is broken down into five sections: Netherlands, Flanders, Wallonia, Luxembourg, and Lorraine. The book is the ultimate guide for hikers looking to cross polders, dune, and dikes in the Netherlands, heathlands, and forests in Flanders, plateaus and mountains, wine country along the Moselle River and the rolling countryside in Lorraine. In this book, you can find secure details of the northern part of the trail, language, money, health, and safety and a hikers communication to outside of the trail. Dorgan also supplies readers with an abundance of public transport links for walking in the specific sections. When you step off the ferry at Hoek van Holland – or alight from the metro at the station next to the terminal – you will see a tall signpost with arms pointing in different directions. There, marked with the standard white-and-red blaze that will be your lodestar in the coming days, weeks or longer, is your sign: GR5 Hoek van Holland – Nice 2289. Fear not – those are merely kilometers, not miles! The thought that the trail indicated by this sign close to the blustery North Sea goes all the way to Nice, on the sunny Mediterranean, is both thrilling and daunting. So you touch the signpost for good luck (or take a selfie) and set off, but you may make a short detour to the nearby beach to dip your toe in the North Sea before starting this trek. If you’re attracted to symbolic gestures – or just want a unique souvenir of the adventure – you might even collect a small sample of North Sea water to carry south. Hiking the GR5 trail across Benelux. You’re hiking on the fabled GR5 (Grande Randonnée 5 or Grote Routepad 5), a long-distance trail that passes through the Netherlands, Belgium, Luxembourg and several regions of eastern France (Lorraine, the Vosges, the Jura and the Alps), plus small segments of Swiss territory around Lac Léman (Lake Geneva), to Nice. Some people trek the entire GR5 in one outing, which may take three to four months. Many others hike sections of the GR5 that interest them, sometimes completing the entire trail over the course of several years. Hiking through, say, the Ardennes, you may meet people who got together last year to walk across the Netherlands and who are planning a walk in Luxembourg next year. Some people simply walk on interesting trails that happen to be part of the GR5, such as the path in Voornes Duin that approaches the bird sanctuary around Breede Water in Holland or the trail across the forested ridges of the Côte de Moselle south of Metz. Walking on the Northern GR5 is relatively easy and ideal for those who don’t want to hike up and down steep mountains – or not just yet. 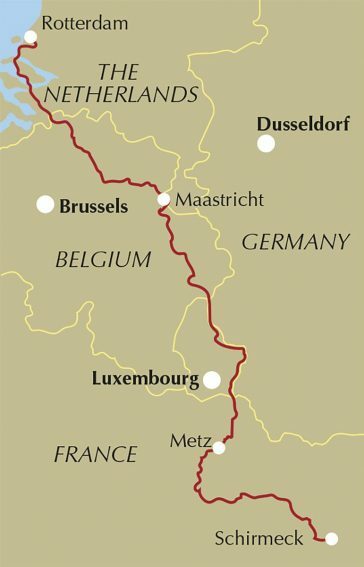 In fact walking the length of the route, about 990km from Hoek van Holland to Schirmeck, would be excellent fitness training for the mountains of the Vosges, the Jura and the Alps. There are many different ways to enjoy the Northern GR5. Some trekkers stride forward at a sustained rhythm, with their sights set perhaps on the Mediterranean Sea. Others meander, taking time to admire the view here and to visit a museum there. Some trekkers consider it important to walk the entire trail, while others do not hesitate to catch a train or bus to avoid a section of the trail that does not interest them. You can spend nights in comfortable hotels and B&Bs, supplemented by the occasional youth hostel and gîte d’étape. Or you can camp (discreetly) near the trail with a tent and sleeping bag. Similarly, you can choose to eat and drink very well or subsist on cheap, high-calorie fuel. And, of course, nothing prevents you from mixing these approaches. A fine dinner and night in a good hotel can be a well-earned reward after several days of opening tins and roughing it. This northern European expedition is also much more than a walk through nature – it’s a cultural experience. You will cross the Delta region of the Netherlands, through two regions of Belgium (Flanders and Wallonia) that comprise three linguistic communities (Flemish, French and German), along Luxembourg’s eastern border (closely linked with Germany) and across Lorraine, a region with a distinctive place in French – and, indeed, European – history. Along the way, you will meet an interesting variety of people (including other walkers), observe different styles of architecture and sample diverse culinary traditions. Or your experience of the GR5 could be a museum tour. 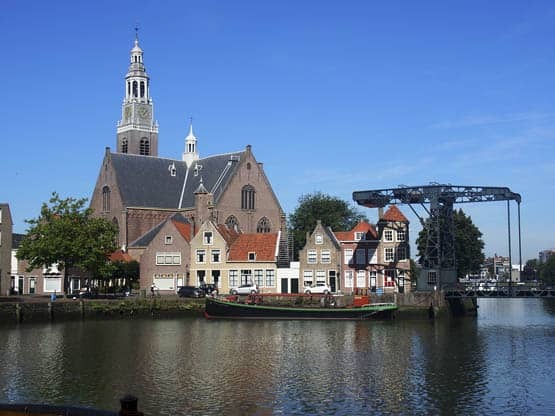 From the tugboat museum in Maassluis, passing the flint museum within the extraordinary Tour d’Eben-Ezer near Eben-Emael, to the salt museum in Marsal, there are interesting and often unusual museums beside the trail – not to mention world-renowned art museums such as the Centre Pompidou-Metz. You will also see many historic buildings along the way, both religious (such as St Étienne Cathedral in Metz) and secular (such as the picture-book castles at Beaufort and Vianden). An important factor in deciding when to walk along the Northern GR5 is, naturally, the weather. The Benelux countries have a marine west coast climate, but the oceanic influence diminishes as you move inland. Lorraine’s climate is continental. 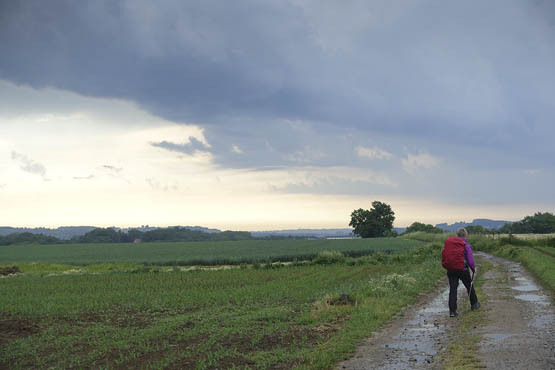 Thus, the Netherlands and Flanders may offer walking weather in winter, but frequent rain and storms are likely. Cold, wet weather is common during the winter in the Ardennes and Lorraine, with occasional snow. Some years, people shake their heads and marvel at how cold and wet it was in April; other years, the weather then is glorious. The odds for good weather are better between May and mid-October but the long-distance trekker must still be ready for varied weather: It may be very hot and clear for a week and then rain heavily the next. Another factor to consider is the calendar of festivals and other special events in the towns along your way. You may wish to time a walk in order to attend a particular event, for example: Nationale Molendag (National Mill Day) in the Netherlands, when windmills are open for visits (the second weekend in May); the Abdijentocht, a walk between two Flemish abbeys, Tongerlo and Averbode, on Ascension Day; the Sprangpressessioun (Dancing Procession) in Echternach on Whit Tuesday; the Fête de la Musique all over France and elsewhere on 21 June; or the Sabat des Macralles et Fête des Myrtilles (Festival of Witches and Blueberries) in Vielsalm on 20–21 July. Alternatively, you may wish to avoid an area because a special event puts pressure on local accommodation (for example, the Formula 1 Grand Prix at Spa-Francorchamps in late August). Tourist offices have information about these events and many others. Caroll Dorgan was born and schooled in the United States. Driven by the absence of jobs for an inexperienced history graduate, Carroll pursued a teaching career for a decade in international schools in Iran, Belgium, and England. He shortly returned to California to qualify as a lawyer but returned to Europe to practice international law in the Netherlands and France. In all of his residences, he explored nearby hiking trails. While living in Liege, he discovered the GR5, which passes near the city on its way from Hoek van Holland to Nice. Over the years, the GR5 grew to become his favorite hiking trail in Europe.